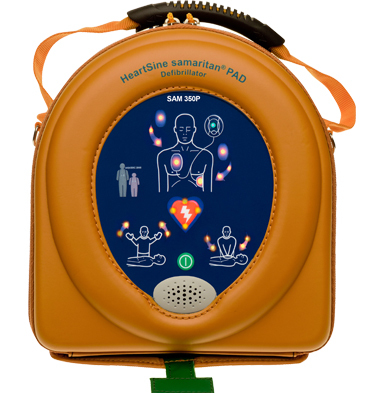 The HeartSine Samaritan PAD 360P is a fully Automatic External Defibrillator (AED) that analyzes the heart rhythm and delivers an electrical shock to victims of Sudden Cardiac Arrest in order to restore the heart to normal rhythm. 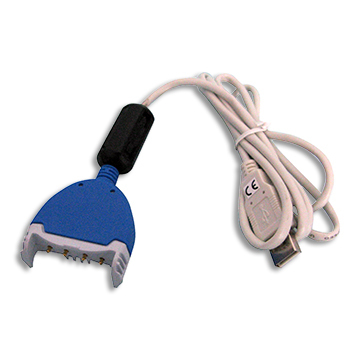 The PAD 360P is suitable for use on adults and children. For children younger than 8 years or weighing less than 25 kg (55 lbs), a Paediatric-Pak™ is available (at a additional cost). Made in Ireland by the inventors of the first portable defibrillator. 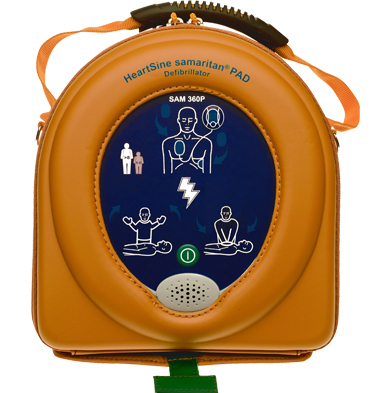 This user-friendly AED provides easy to follow visual and audio prompts to guide the rescuer through pad application. 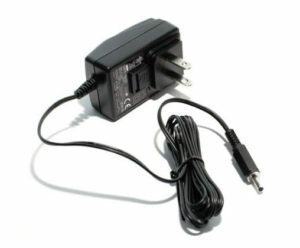 Shock delivery, if required, is fully automatic which means there is no shock button to press. Its advanced technology is balanced against the demands of real world use. 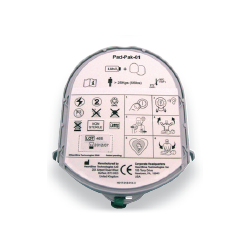 The PAD 360P also uses HeartSine’s practical PAD-PAK™, which incorporates the battery and electrodes in a quick to replace single-use cartridge – meaning only one expiration date to monitor and only one item to replace after use.